Dane Johansen | The Chamber Music Society of Lincoln Center. American cellist Dane Johansen performs extensively throughout the world as a soloist with orchestra, in recital and as a chamber musician. Praised for his "brave virtuosity" and "staggering aplomb" (The New York Times, New York Magazine), Johansen made his debut at Lincoln Center, performing Elliott Carter's Cello Concerto with James Levine in celebration of the composer's centennial. 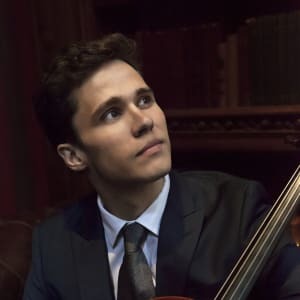 The first winner of the Juilliard Leo Ruiz Memorial Award, Johansen made his Carnegie Hall debut, and as winner of Juilliard’s Sanders Prize, Johansen traveled to Israel where he performed with the Jerusalem Symphony Orchestra in Jerusalem and Tel Aviv. 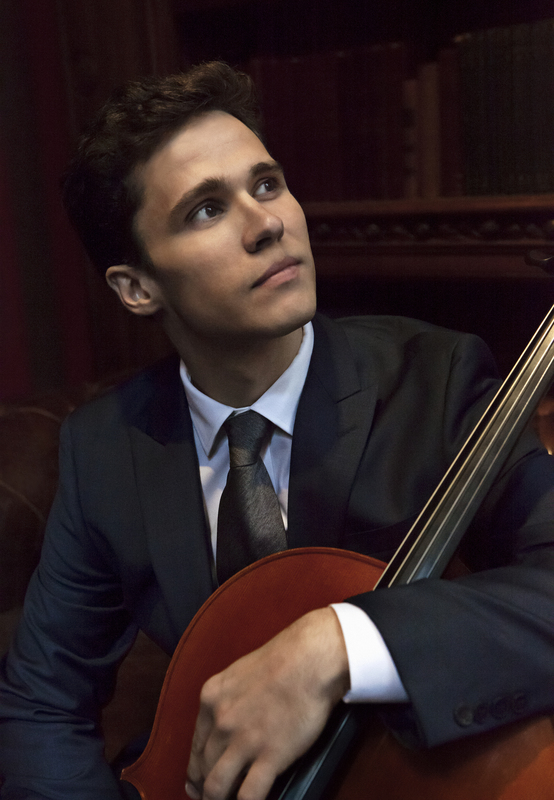 Formerly the cellist of the Escher String Quartet, Johansen and his colleagues were BBC Radio 3 New Generation Artists, and were recipients of the Avery Fischer Career Grant and the Martin Segal Award from Lincoln Center. Johansen has now performed on five continents, in more than 20 countries, and on the leading stages of the world including Carnegie Hall, Wigmore Hall, the Concertgebouw, Konzerthaus Berlin, Alice Tully Hall, and the Kennedy Center. He has collaborated with leading artists such as Pinchas Zukerman, David Shifrin, Richard Goode, David Finkel, Wu Han, and Mitsuko Uchida. He is a regular Artist of the Chamber Music Society of the Lincoln Center and has performed at The Marlboro Music Festival, Bridgehampton Chamber Music Festival, Seattle Chamber Music Festival and the London Proms. Dane performed the New York première of the "Crouching Tiger" Concerto with composer Tan Dun and the Metropolis Ensemble at the Lincoln Center Outdoor Festival. For many years, Dane has dedicated great energy to exploring and developing his performance of J.S. Bach’s Six Suites for Solo Cello. This led not only to a performance at Alice Tully Hall in 2010, but ultimately after years of dedicated preparation, to an unforgettable musical pilgrimage: The Walk to Fisterra. In May 2014, he walked 580 miles along the Camino de Santiago in Northern Spain with his cello on his back, performing Bach’s Suites in 36 concerts along the way. The story of his adventure on the Camino with Bach will be made into a documentary film and accompanying recording. A native of Fairbanks, Alaska, Johansen studied at The Cleveland Institute of Music, The Conservatoire National Superieur de Paris, and The Juilliard School where he earned his Artist Diploma. Johansen had the privilege of studying privately with Bernard Greenhouse who was the most significant student of Pablo Casals and Emanuel Feuermann. Johansen is a passionate teacher and values the opportunity to share lessons from these legendary cellists with future generations. He is currently on faculty as assistant to Joel Krosnick at The Juilliard School and Juilliard’s Pre-College. He plays a cello made for him by Stefan Valcuha in 2014, a beautiful copy of the ‘Countess of Stanlein’ Stradivarius formerly owned by his teacher, Bernard Greenhouse.